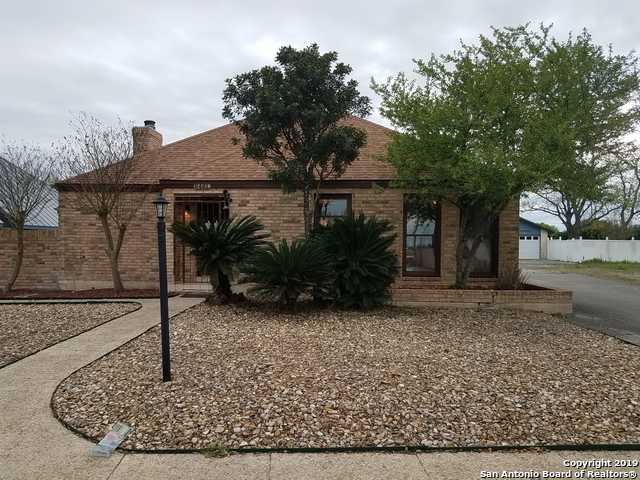 All WOODLAKE COUNTRY CLU homes currently listed for sale in San Antonio as of 04/20/2019 are shown below. You can change the search criteria at any time by pressing the 'Change Search' button below. "Updated Garden Home located in the Woodlake Country Club Estates community. This 1,778 sq. ft. residence features 3 Bedrooms, 2 Baths, 4-side Brick Exterior with a 2-car Garage and attached Golf Cart Storage Area all accessible from Alleyway Entry (back of home). Perfect entertaining possibilities in living room with brick Fireplace and adjacent wet bar. Home has hardwood floors in living and dining rooms, in all bedrooms and granite counters & appliances in Kitchen."